The Supreme Court of the Republic of Uganda is on Friday 30th October, 2015 at 9.30a.m expected to deliver Judgment on whether maternal health rights are justifiable in Uganda. In a case filed by the Center for health, Human Rights and Development (CEHURD), Mr. Inziku Valenti, and Ms. Rhoda Kukiriza against the government of Uganda, the petitioners sought remedies for non-provision of basic maternal health commodities in public health facilities in Uganda that led to death of their loved ones. CEHURD and its co-petitioners argued that the public are affected by the non-provision of basic maternal health commodities in government health facilities, and that the imprudent and unethical behavior of health workers towards expectant mothers was unconstitutional and an abuse of poor women’s rights to access health services. The death of a one Sylvia Nalubowa (daughter of Ms. Rhoda Kukiriza) in Mityana hospital due to non-availability of the basic maternal health kits in the district hospital and the unethical behavior of the health workers towards her violated her constitutional right to life and health. The death of Anguko Jennifer (wife to Mr. Inziku Valente) in a regional referral hospital in Arua also due to non-provision of the basic maternal health commodities and the reluctance of the health workers towards this expectant mother leading to her death was an infringement of her rights to life and health guaranteed under the constitution of Uganda. Non provision of the basic maternal health commodities to expectant mothers (evidence gathered from community health facilities) and the failure on the part of health workers to exercise the requisite health care leads to death of children hence an infringement of their rights guaranteed under the Articles 22, 33 and 34 of the constitution. The constitutional Court absconded from hearing the merits of the case on a preliminary objection raised by the attorney General’s Lawyer that the Court did not have the authority to handle matters of that gravity. The court was of the opinion that the issues the petitioners had put to court were of a political nature that necessitated the intervention of the Executive to allocate resources to the health sector and none of courts business to intervene. As a matter of fact and law, CEHURD, Ms. Rhoda Kukiriza and Mr. Izinku proceeded to appeal that decision to the Supreme Court on the basis that the Constitutional Court erred in law in refusing to listen to the merits of the case. 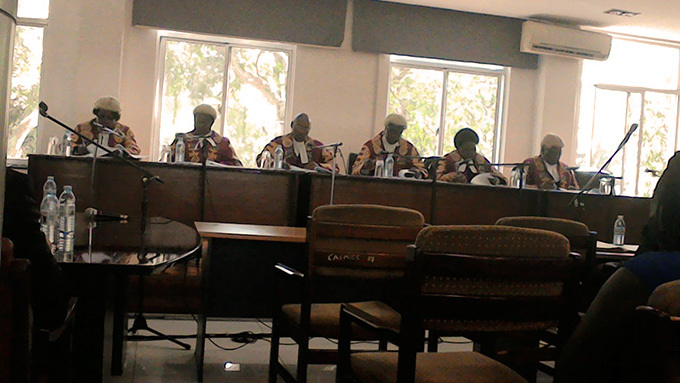 It is this decision that Court will be making Judgment on Friday 30th October, 2015 at the Supreme Court of Uganda. The Judgment is particularly important because the Ugandan Constitution does not provide for a right to health and in addition makes no commitments or priorities for health financing for primary health care for Ugandans from a legal perspective.